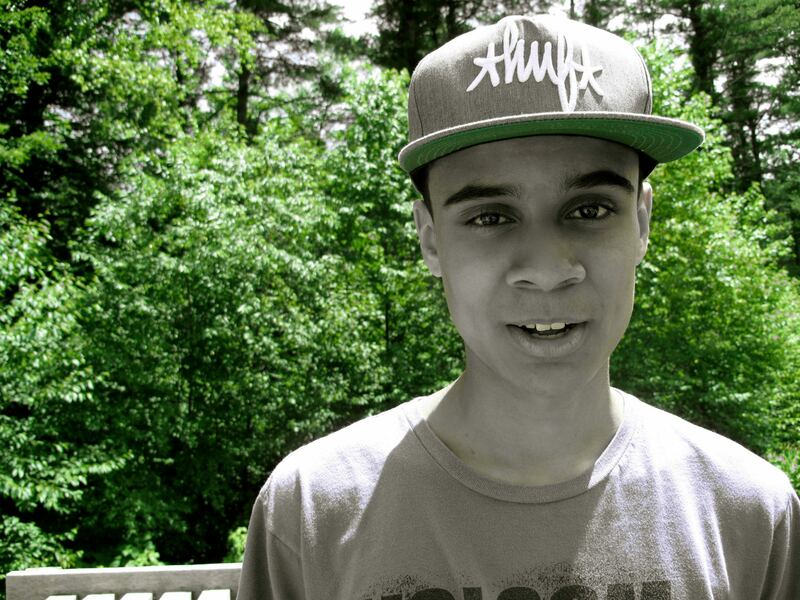 Back in August, DZI: The Voice conducted an interview with up-and-coming hip hop prodigy Fisher Kay. 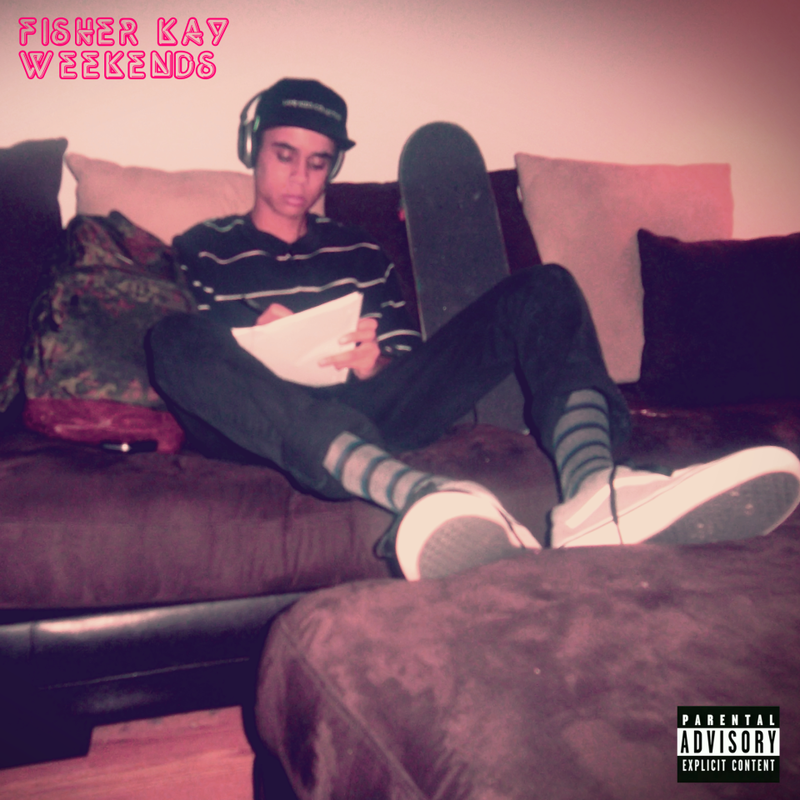 Well, the Fitchburg Phenom is already back with his new album Weekends, and if you thought his first two projects were hair-raising, you’ll definitely be shocked by this even darker 16 track digital LP produced by Fisher, Tairey Perez, CHill, Jay The Kidd, Panama Jak, and JBurrg. Yes, just in time for Halloween, the teenager born Keenan Park once again disguises himself as the fouled-mouth, socially-inept Fisher Kay. 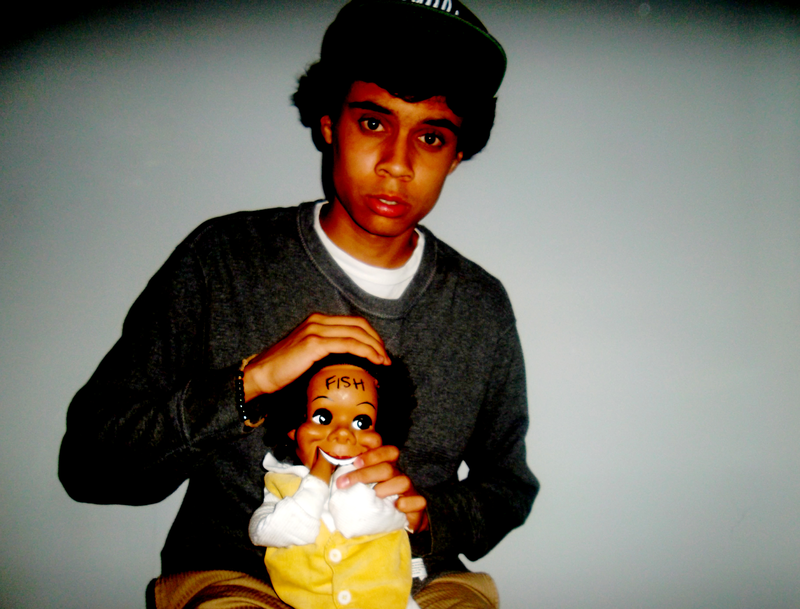 Rapping over chilling, somber beats Fisher still taps into that awkward kid persona with his crazy flow and delivery, but on Weekends the emcee focuses more on crafting complete songs rather than the freestyle construction of earlier mixtapes. The music on Weekends features mid-song production switches, full choruses, and creative bridges- one of the most interesting being the interpolation of Kanye West’s “Monster” on “Beach” by the Jay the Kidd. The standout track is “Bogus”. It begins with Fisher singing “La La La” outloud to himself over a simple piano melody. You can just picture him skate boarding down the street as the sun illuminates his morning and everything feels great. Then all of a sudden the beat drops and just that quickly the rain clouds appear. Instantly, the self-described “MVP of MP3s” sees his day take a turn for the worse. Fisher and producer Tairey Perez use “Bogus” to craft a brilliant story on the effects of bipolar disorder. It would make Homeland‘s Claire Danes proud. Fisher Kay has definitely matured musically with this project. It will be interesting to see where he goes from here. Will we ever get a completely content Fisher, or is the darkside just too strong to resist? Either case, the internal battle should be interesting to watch.